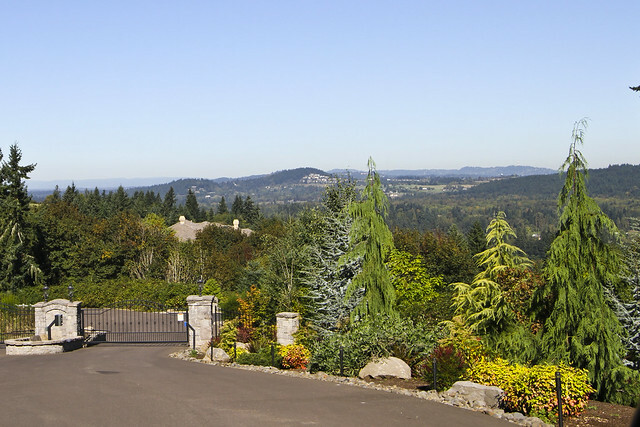 Pete's Mountain in West Linn has become one of the most desirable suburban communities near Portland. Named after settler Peter A. Weiss from Bastille, France, the original Donation Land Claim holder from the 1850's, this high hill of fertile land was once farmed mostly by families of German and Scandinavian descent. Today, Pete's Mountain is known for it's luxury homes, lush greenery, excellent schools, clear views of Mt. Hood and the Portland skyline, and the eastern border of the picturesque Willamette River. 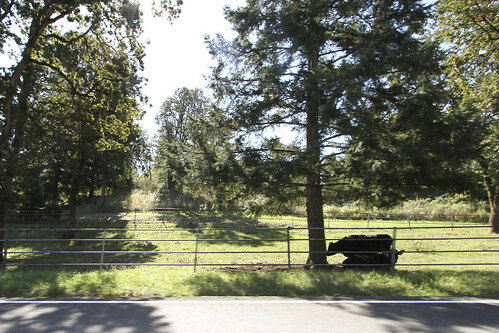 Pete's Mountain in West Linn is truly a home owner's dream. Pete's Mountain is an area rich in nature and community, and is a favorite of local bicyclists for its challenging inclines and gorgeous views. Pete's Mountain residents experience that stunning view every day without the legwork! Pete's Mountain has a near-perfect micro-climate. Located above the intersection of the Tualatin and Willamette rivers, where the fog hangs heavy on fall mornings, Pete's mountain combines cool nights and warm days for ultimate comfort. Providing some of the best quality of life rankings in Oregon, Pete's Mountain is known for its comfortable mix of luxury and casual country living. Home to the stunning Oregon Golf Club and several lush vineyards producing excellent Wilamette Valley wines. Four vineyards, totaling more than 50 acres of grapes, line the fairways around the Oregon Golf Club on Pete's Mountain.The citizens of Pete's Mountain and West Linn have income levels well above the state average, and they are known for their civic mindedness and volunteer ethic, hosting fundraisers for, local schools, charities, and community organizations. West Linn is known as "City of Hills, Trees and Rivers," and it's easy to find serenity within a few minutes of the city. Nearby sights include the Tualatin and Willamette rivers, Mount Hood, Mount St. Helens, Mount Adams, and the Cascades. For more information about this lovely city, check out the West Linn official website. 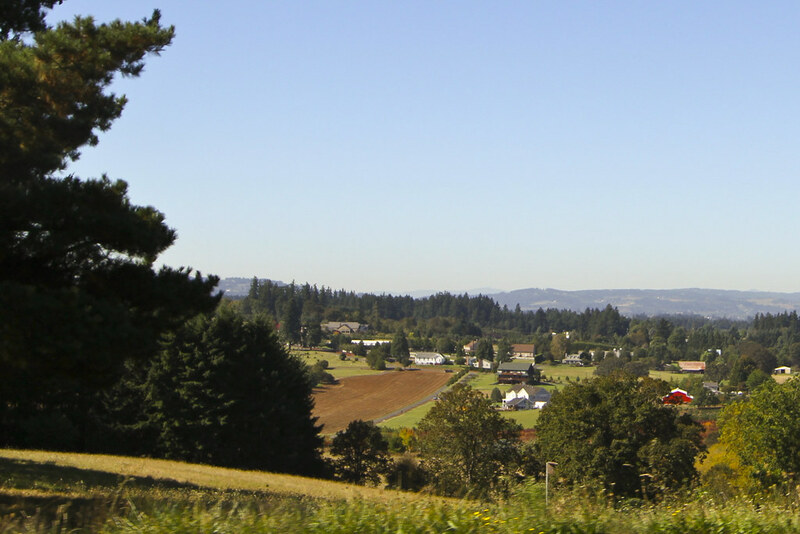 West Linn is located 12 miles south of Portland, near Oregon City. This makes West Linn comfortably close to the amenities offered by the big city while maintaining a quiet, small town speed of life. Pete's Mountain offers luxurious hilltop abodes overlooking the area as well as a wide assortment of beautiful historical homes. The major road traversing the area is Pete's Mountain Rd, which is either in Lake Oswego, Willsonville, or West Linn, depending on estate lines. Cascade Summit, West Linn's newest development, is a mix of homes, offices and shopping. The mixed-use residential area includes apartments, town houses, condominiums and larger estates. Click here to see a snapshot of homes currently listed on and near Pete's Mountain in West Linn. Oregon Golf Club: Set on Pete's Mountain against the backdrop of the Cascade Mountains, the Oregon Golf Club course follows the natural contours of the land offering a scenic and challenging golf experience. The undulating fairways are guarded by deep rough and the Willamette River runs along several holes. With its challenging layout, dramatic views, lush vegetation and rose garden, this is a true golfers paradise. You can relax after your round in the men’s and ladies’ locker rooms that include Jacuzzi, sauna, steam rooms, shoe service and card rooms. Oregon Gold Club also features a pro shop to keep you outfitted with the latest in golf apparel and equipment – all at special member pricing. Vineyard Tours: Four vineyards, totaling more than 50 acres of grapes, line the fairways around the Oregon Golf Club on Petes Mountain. On the hills north of the Tualatin River, the picturesque Oswego Hills winery dominates the wine scene. 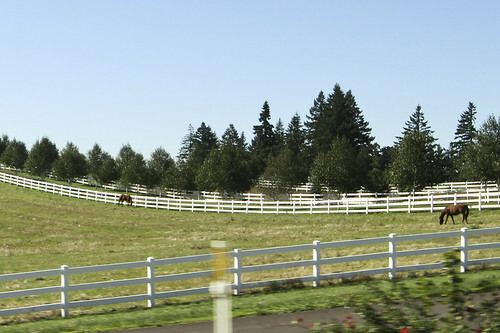 The 36-acre property, formerly a well-known equestrian center with several large historic barns and stables, was reborn as an estate vineyard in 1997. The winery is open every Sunday for tastings from noon to 5 p.m., and it’s available for special events. A mile or so away, Don Young has a vineyard of 4,600 pinot noir clones, planted on 3 ½ acres. West Linn Farmers' Market: Come experience West Linn's 'Taste of Tuesday' market, every Tuesday from 4:30pm-8:00pm (June 1st- September 14th) at the corner of 13th. Ave. & Willamette Falls Drive. This is THE place to find the best local Fresh Produce, Great Art & Live Music, Flowers, Plants, Crafts and More. More like a block party than your typical farmers' market, you'll meet lots of locals hanging out and kicking back, enjoying the sun. The market is located in the historic Willamette neighborhood, a cute part of town with lots of restaurants. You can enjoy a good meal then stroll along the sidewalk and pick up some tasty treats to take home. Happenstance: (21900 Willamette Dr West Linn, OR 97068) This adorable boutique will definitely make an impression on you. The owner Cecilia and her assistant Christina do a fantastic job of guiding you in finding outfits that flatter your figure and make you feel great. They specialize in denim but have tons of other unique pieces you'll fall in love with. They even have a fantastic selection of cute crystal chandeliers at amazing prices. Oregon Golf Club: www.theoregongolfclub.com Open only to members and guests of the Oregon Gold Club, this exclusive restaurant is on some of the most stunningly beautiful property with panoramic views of the area. Allium: www.alliumoregon.com This is the new restaurant of Chef Pascal Chureau (former owner/exec chef of Fenouil) and Ian Ragsdale (former chef de cuisine at Fenouil). The food is phenomenal and the restaurant is elegant, warm, and comfortable, serving simple bistro cooking with excellent ingredients. Be sure to try the amazing mushroom soup, lamb Shank, roasted chicken, halibut, and the flatiron steak. Great food in a great atmosphere. Starting in June 2010, Allium is hosting a great deal every last Sunday of the month: a family style dinner, $35 per person, wine included. Yum! Bugatti's Ristorante of West Linn: http://www.bugattisrestaurant.com/ This restaurant is 'the' place to go for a romantic meal or a cozy night out with the family. Amazing wine selection and an even more amazing, traditional menu. This friendly and fairly upscale place is a favorite among locals and visitors alike. Serving up one of the best Caeser Salads around, as well as classic pasta, lamb, risotto, and Italian home cooked specialties, this is definitely one to check out. The cioppino and a great spicy scampi dish with pine nuts, spinach and linguine are high on our list of favorites. Bonus: they always feature a freshly-made gelato! Click here for a coupon for free dessert. Linn City Pub: (19389 Willamette Dr. West Linn, OR 97068) If you're looking for a more casual dining option, be sure to check out the Linn City Pub, a great place to have some good food! They have a great menu with just about everything on it, and are really family friendly. The service is some of the best in town and anyone can go there, beer buddies, families, business lunches, you name in. They've got a full bar and lots of beer choices. This is bound to become your very friendly neighborhood restaurant.